Every bride wants to look and feel stunning on the most important day of her life. With the high demands of new technology, certain tips and trade secrets must be incorporated to create that desired flawless bridal face. Dear future Mrs.- Join Face Makeup Artistry for an evening of learning how to master a fresh bridal makeup application! Register your Bridal Members too for a gals night out! 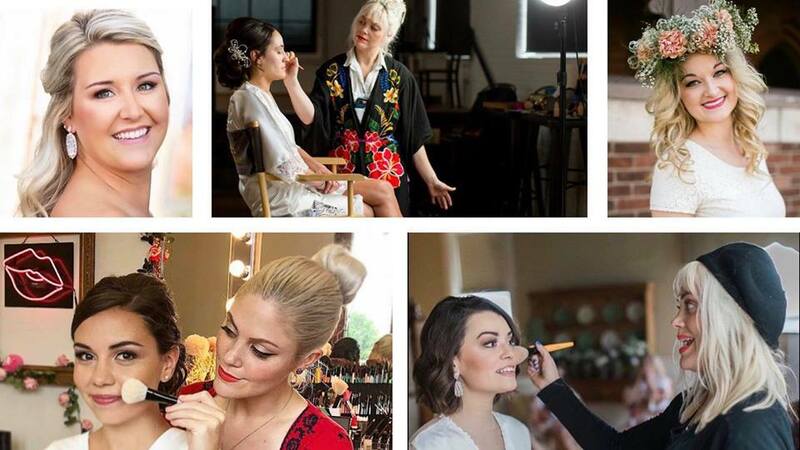 -Want Professional Makeup by Face Makeup Artistry for wedding, but we are already booked on their wedding date. -Want Professional Bridal Makeup for wedding, but don’t have a wedding-day budget for it. -Are eloping or having a destination wedding and won’t have access to Face Makeup Artistry for actual wedding day. -Feel that they have a good knack on appying their own makeup, but want to learn a little extra for applying it on wedding day! -Are considering Professional Bridal Makeup by Face Makeup Artistry, but would like to see our work in action first. DETAILS:-Demo Makeup Style: We apply the entire look on a face model and attendees can watch, take notes, and ask questions throughout. -All attendees receive a complementary Bridal Makeup Compact (1 shadow, 1 blush, 1 “Bachelorette” lipstick) as well as a Class/Lesson recap. *Register by Sunday, March 17th for an additional FREE eyeshadow. *Cancellation/Reschedule Policy: Tickets are non-refundable and non-transferable to another class or service/product. Tickets CAN be transferred to another person to attend in your place for specified class you signed up for. If you are unable to attend (or find someone to attend in your place) the makeup product and class recap will still be redeemable for you at the studio for 7 days after the class date. If product is not claimed after 7days, it will be donated to our annual philanthropic “Beauty Egg Hunt” for Look Good Feel Better.